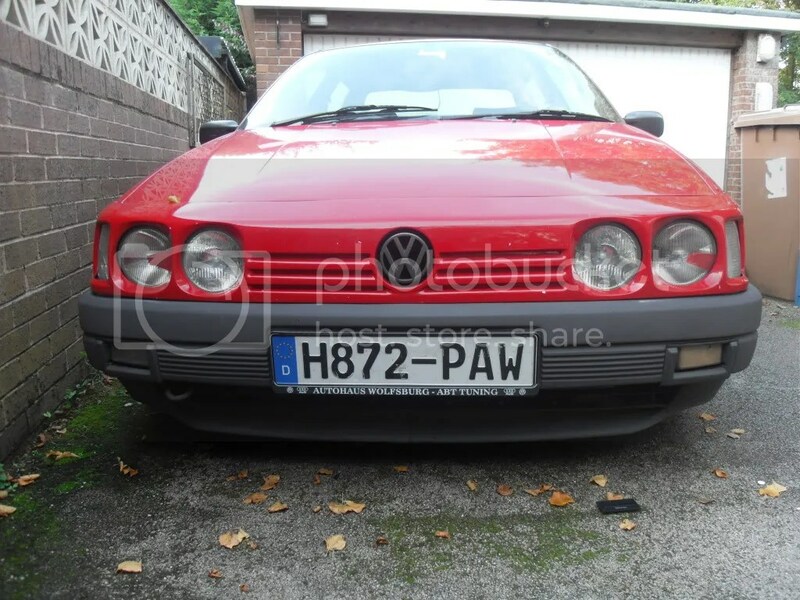 Did you know that VW based the B3 (of which the B4 is a facelift) on the Golf platform? And yet it’s bigger in all directions. That might explain why there are so many common parts. I took this photo as a contrast to the Mercedes W210 I showed recently. I’d planned to compose some thoughts on the junk charm of the B4 compared to the W210. This car is nicely tatty and the mismatched filler cap sets off the dreary metallic paint very well. I’d prefer if it was the B3 in a rich colour. Maybe that’s a bit contrived. If there were any technical blips it was because I wrote this on an iPhone and the editor went wierd on me. What’s more intriguing is VW:s decision to revert to the Audi-platform for the successor Passat B5. Volkswagen is usually very consistent when it comes to platform-sharing, but for the Passat that have been remarklably schizoid. The first generations B1 and B2 from 1973 through 1988 were based on the Audi 80-platform. The successor B3/B4 was designed inhouse by VW from their own Golf-derived platforms. Then back to the Audi-platform for the B5. And then back again to the Golf-derived platforms for B6 and B7. It is intriguing as there is such a difference in design philosophy, were the Golf-DNA is transverse engine fwd and the Audi-DNA is longitudinal engine in front of the driven front wheels. I’m sure it made (some) sense each time. It could be that they decided at one point that they need to disconnect the VW and Audi saloons, in size and positioning. Maybe later they realised that the VW platform couldn’t be stretched any further so it was back to the Audi one. One thing is sure is that VAG didn’t wait until the MB platform to experiment with platform sharing. The B3 was the best Passat too, with its bluff body colour nose, big cabin and massive boot. The facelift toned down the strangeness, and lost a lot of charm in the process. The Passat is now based on a transverse-engined architecture once again, but has absolutely zero charm these days. The B3 was Wolfdburger Heide-barock at its best. The real successor of the 411/412 – and both are called “Nasenbär”. Especially the sedan was pretty far away from having some elegance like the Santana and I remember the most popular tuning act was to make this vertical nose look less senseless. Sadly these cars did last pretty good – you can still se a lot of them in Germany. I must agree with Jacomo on this one, though I know we are in the minority. The B3 was what a Volkswagen should be – sensible, practical, functional – and because of that I liked its no-nonsense looks. I even nearly bought one. Subsequent Passats are not VWs, they’re wannabe Audis. The saloon has awful proportions, I agree with Markus. The estate looks good, but apparently it was too radical for conservative VW buyers. Probably that’s why this is the Passat I like most. Markus – once again you spoil us with tongue-in-cheek German design terminology. The Passat B3 as a long nosed South American bear – would the British call it “Paddington”. Is there a typo in “Wolfdburger Heide-barock”? I’m struggling to understand the notion of Heide-design. Going by place names, the Germans do seem to have a fixation with Heiden, empty remote places the Anglophone would call heaths or moors. Except for the Brummies. In Birmingham a ‘heath’ is invariably either an industrial estate or a high-density residental area. Similarly, any thoroughfare including “Lane” in its title is a fast moving dual carriageway. One cannot but love the Brummie irony. And finally on B3 matters, nobody’s mentioned the 1980 VW 2000 concept, widely expected to be the Golf Mark 2, but instead emerging, scaled-up and technologically de-contented, years later, as the third generation Passat.